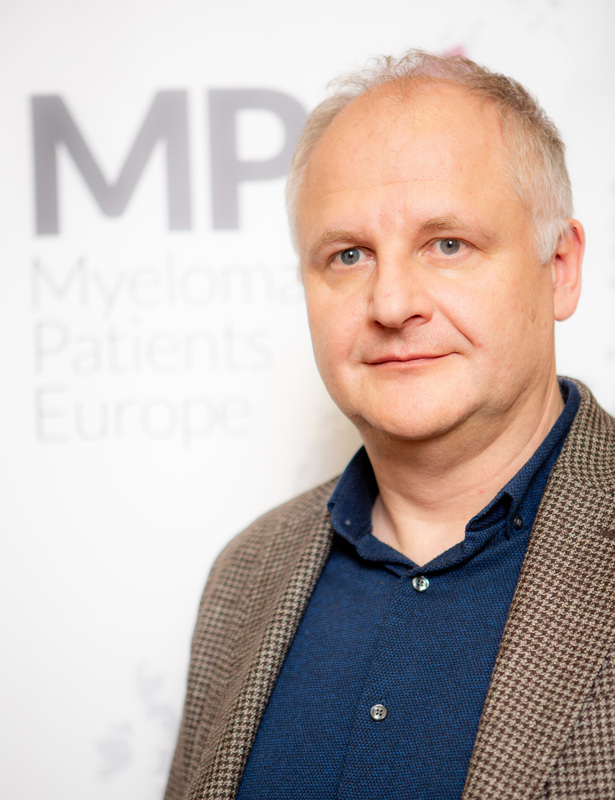 Hans is the President of MPE since October 2016. 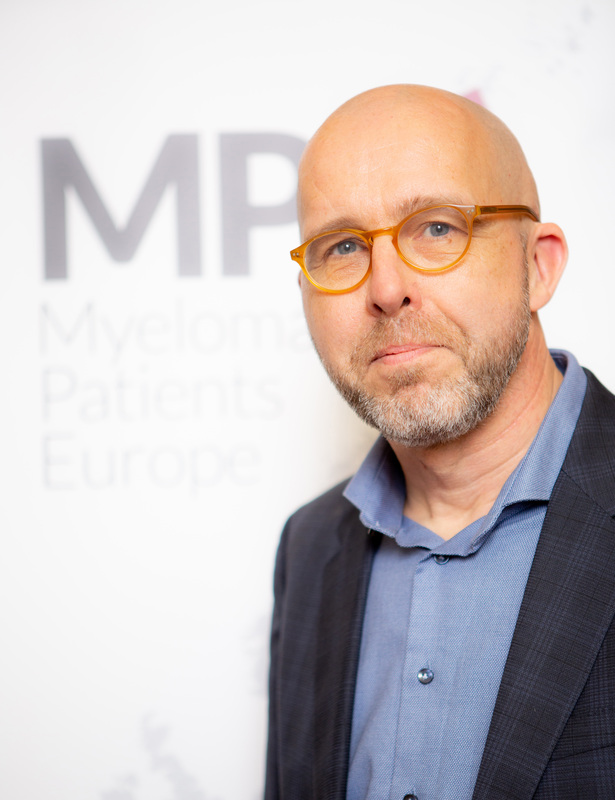 Board member of the myeloma- and Waldenströmpatientgroups CKP and CMWP (2008 – 2011) and chairman of the board of Hematon Myeloma- & Waldenströmpatientgroup (2013 – 2015). Now boardmember of Hematon, a patient organisation for all dutch patients with a hemato-oncological disease. 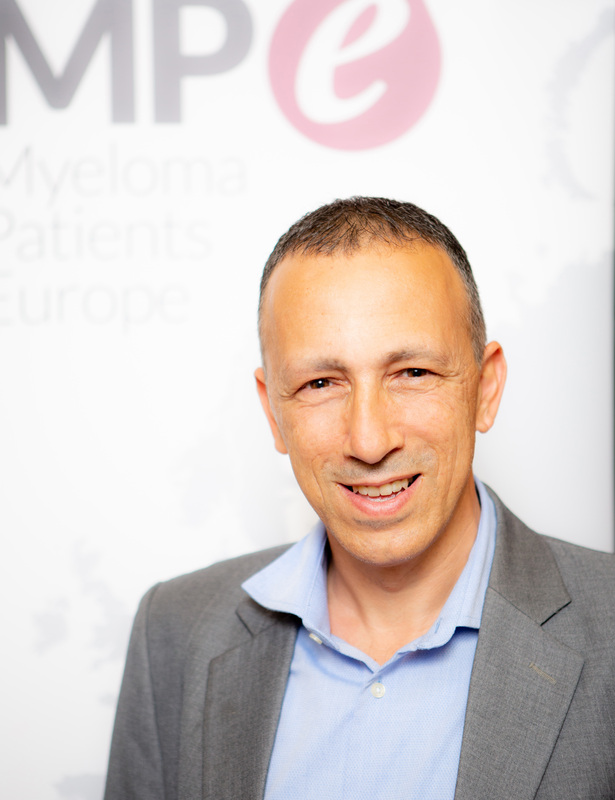 An active member of Myeloma Patients Europe since 2013. He works as a patient-advocate in the field of healthcare on projects that support and empower cancer patients and patient groups. 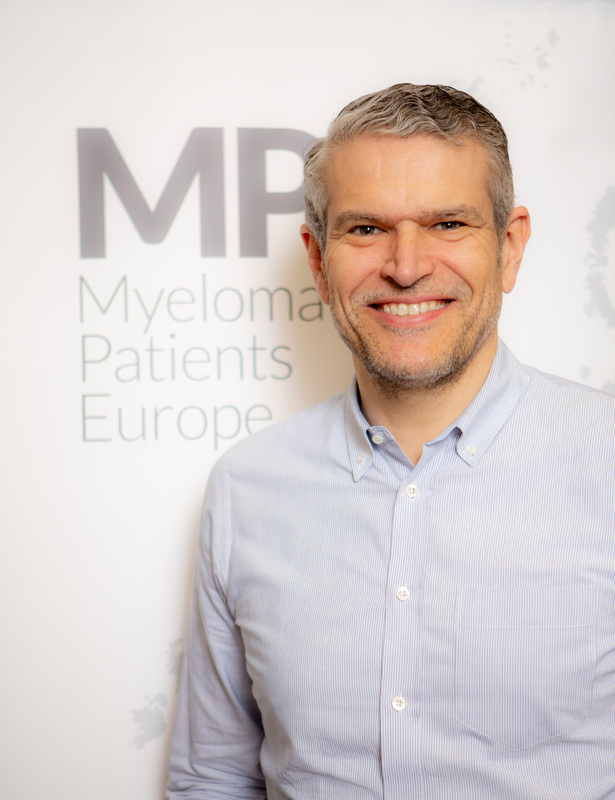 Before he was diagnoses multiple myeloma, he was a school teacher at first, and later educational consultant, interim manager and trainer in courses for school leaders and boards of educational institutes. He achieved a Master in Educational Sciences at the University of Amsterdam (in 1995), and continued for a period his research in a PhD-direction, but choose at some moment for designing and leading MD-courses (Management Development) for several companies for many years. Ron is the Vicepresident of MPE since July 2017. Ron has been a board member of Amen Israel over the last eight years and has been a lawyer for the last 26 years and a businessman. He had his first contact with myeloma when his mother-in-law was diagnosed with myeloma 10 years ago. He has a master’s degree in Executive MBA Management programme from Tel Aviv University and received an outstanding Dean’s degree. He is committed to bring to MPE his experience in business management, membership of boards of directors of companies as well as non-profit organisations. Johannes is the Treasurer of MPE since October 2016. Johannes gained a double degree in economics from FH Reutlingen (Germany) and ESC Reims (France) before embarking on a career in financial services. The majority of his 20 years in the banking industry were within Finance & Treasury. He has built, expanded and managed businesses in various circumstances and market environments, working closely with both internal and external clients and stakeholders of any kind. He combines vast practical experience with deep knowledge of interdependencies within an organization, whether they are strategic or tactical. He follows a holistic approach that incorporates regulatory, technical, operational, legal, risk and economic aspects. In 2014, Johannes took his career into a new direction by getting involved in a number of smaller ventures before becoming a partner at a medium sized consulting company. Despite a seemingly numbers and results driven career, Johannes cares deeply about people and values. He is a keen supporter of humanitarian and ecological causes and gives the best he can to be a good citizen of the world. Riikka-Leena is the Secretary of MPE. She joined the Board in April 2018. Riikka-Leena is a board member of the Association of Cancer Patients in Finland (Suomen Syöpäpotilaat ry) which is a NGO founded in 1971. The Association coordinates cancer specific networks, including a network for myeloma patients. 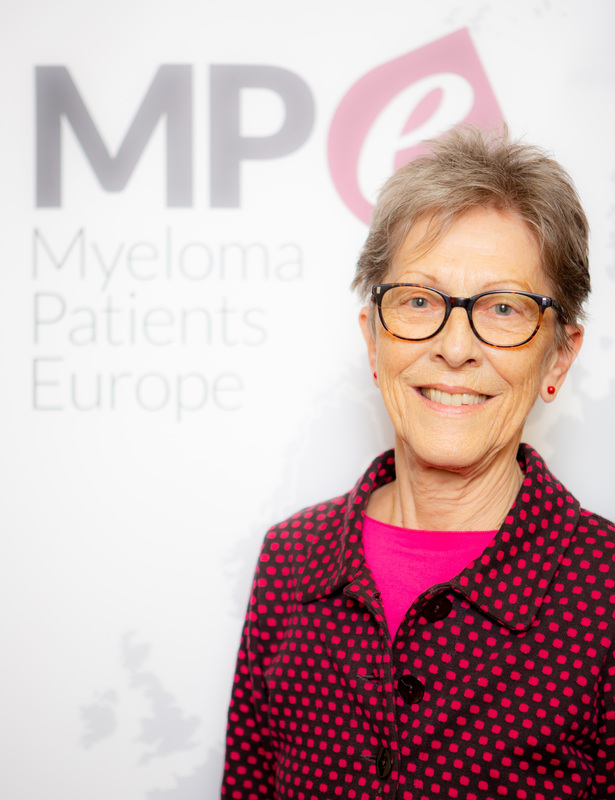 Riikka-Leena is an active member and a volunteer of the myeloma network and a patient advocate. The myeloma network offers peer-support and provides a way to share information and receive feedback from the patients. The mission of the Association is to secure equal care for cancer patients, in addition to securing the well-being and a quality of life of patients and their family members. Riikka-Leena isalso a member of two Patient Advisory Boards at the Tampere University Hospital. Riikka-Leena graduated from the University of Turku with a master’s degree in Geography. She has also studied Journalism at the University of Tampere. Kristina is a board member of MPE since October 2016. She has a Bachelor Degree in Bussiness and Management and 20 years of proffesional experiences on the fields of project management, sales, marketing, PR and human resources. Last 10 years she also had a lot of volunteer experiences on the fields of leadership, advocating, fundraising, project management, awareness campaigns, media, etc. on national and in some cases also international level. She is currently the Executive Director of Slovenian lymphoma and leukemia patient association, L&L and also a president of ONKO NET – association of Slovenian cancer patient organizations as well as a president of the representatives of the patients at the Oncology Institute of Ljubljana. 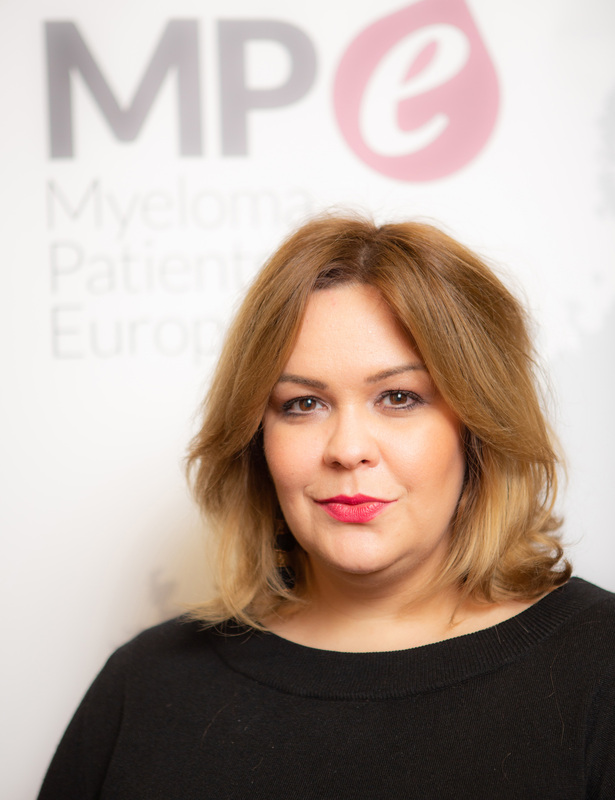 Biljana is a Board member of MPE since July 2017. Biljana is the president and project manager of “BORKA – for each new day”, MPE’s Macedonian member. Biba, as she is known, is a Macedonian singer-songwriter, musician and producer. After her mother’s melanoma diagnosis, she decided to use her celebrity status to create the Association “BORKA – for each new day” and be the voice of patients by generating awareness about cancer and problems in the health industry and to work for patients’ rights in Macedonia. She is committed to bring to MPE her knowledge of eastern European health systems and reimbursement processes and her experience as patient advocate. Lisa is a board member since April 2018. 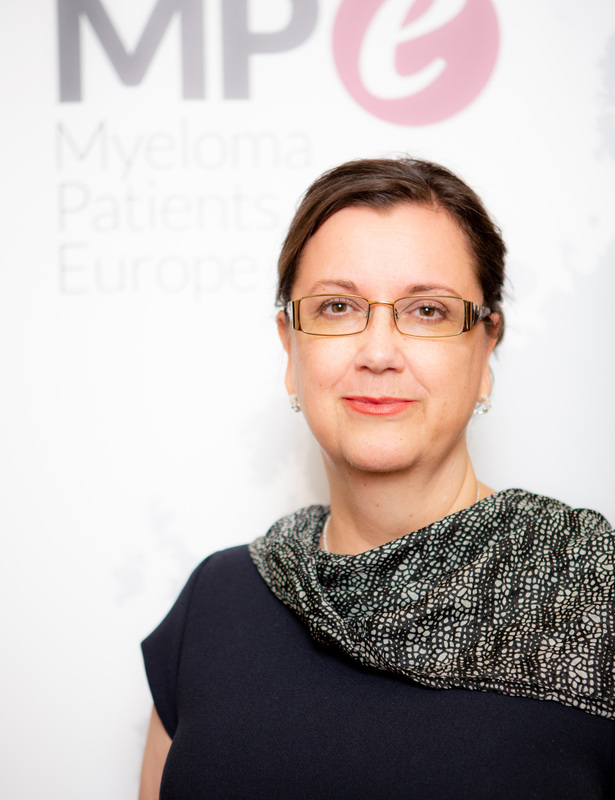 Lisa is the president and co-founder of AMM-Online, an internet based organization in Germany that runs and maintains an information and communication platform for myeloma patients and their families. Although lisa is not a myeloma patient herself, she was deeply involved by accompanying her husband through his patient’s journey and she knows well how challenging this nasty illness can be for both the patient and the carer. After her husband passed away in 2003, she decided to share her long term experience with others and to become a patient advocate in myeloma organizations. Lisa holds a master’s degree from the University of Munich and a post-graduate degree as information manager. During her former business career she worked her last 20 years as a senior manager in the finance and insurance industry. 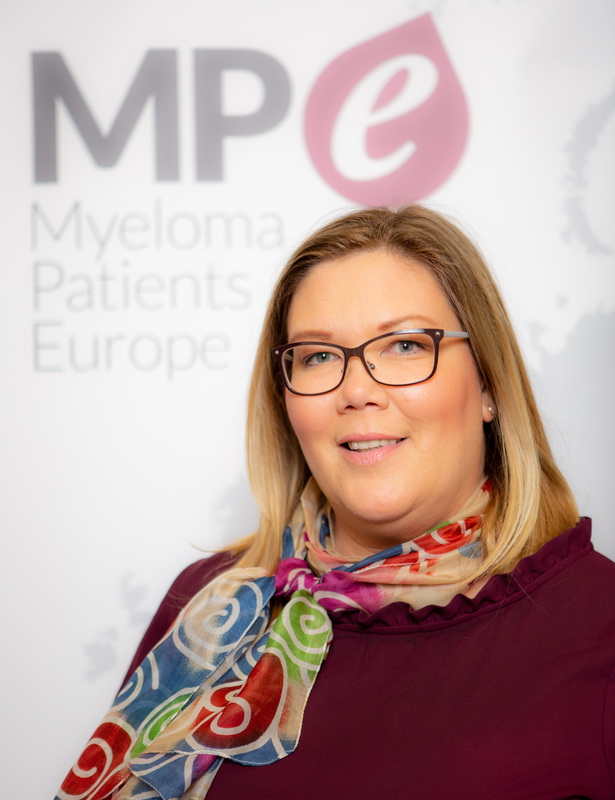 Feeling deeply obliged to the myeloma community, Lisa is committed to bring to MPE her long term information and communication expertise intern and extern alike as well as her management experience in business and non-profit organizations. Roman is a board member since April 2018. Roman is member of the Polish organisation Carita Zyc Ze Szpiczakiem and a smouldering myeloma patient since 2012. He completed higher law studies in Lodz, Poland, LL.M studies (EU Comparative Law) at Rijksuniversiteit Limburg in Maastricht, the Netherlands. He worked a long-time as lawyer at EY and he is currently working mainly with corporate clients such as General Electric, Emerson Electric and Ford. 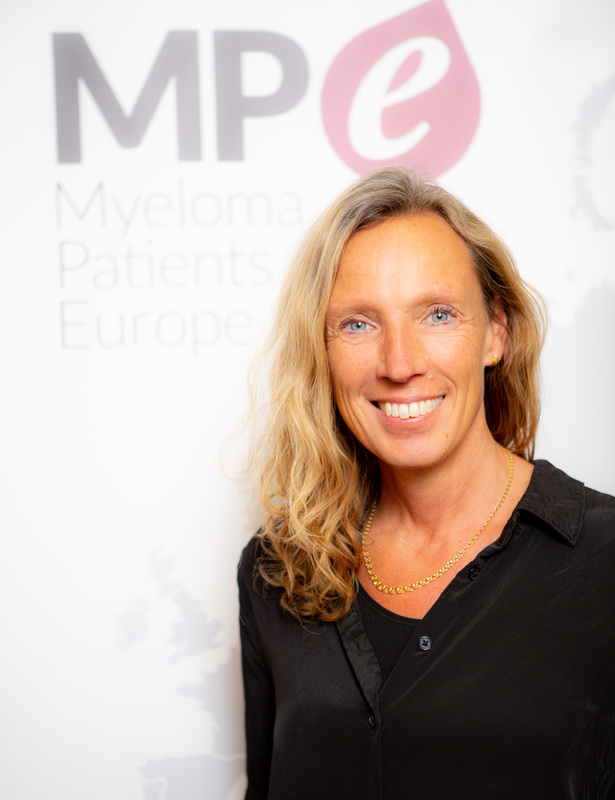 Lise-lott is the board member of MPE since March 2019. Lise-lott has been Chairman of the Swedish Blood Cancer Association since 2015 and was previously Chairman of the Blood Cancer Society in Stockholm. Lise-Lott lives in Stockholm, Sweden. She was diagnosed with essential thrombocytemia in 2011 and her father was diagnosed with myeloma in 2009. 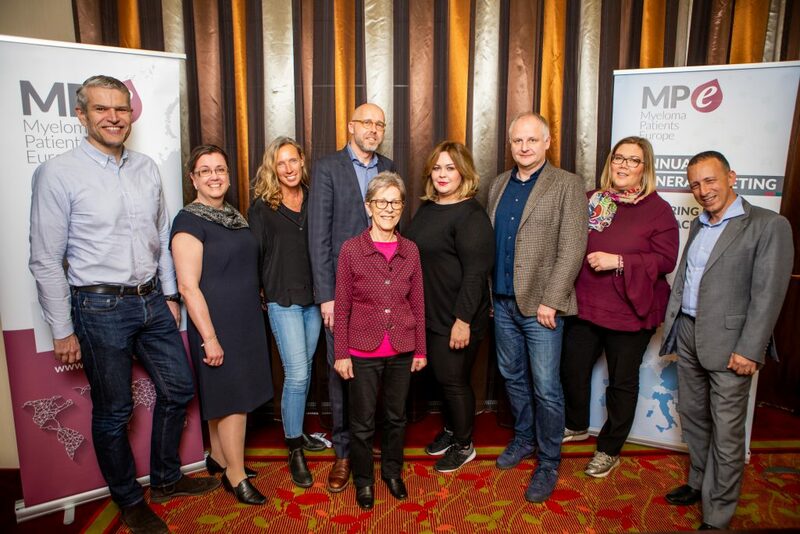 In the Swedish Blood Cancer Association, she is very active in policy related issues within the Swedish cancer care area with focus on access to new drugs for hematological disorders (especially myeloma), reimbursement, pricing and patient influence in clinical trials and health technology assessment decisions. She works actively to raise the status of expert patient advocates in Sweden. As well as being an effective patient advocate, she has prior experience working as a physiotherapist, in a variety of private healthcare settings and since 2006 has been CEO and co-owner of LM Design to Live in AB a family business in the construction business producing and selling individually designed site-built villas and tenant-owned apartments.